Nepal Foreign Affairs (KATHMANDU, 16 January 2019) – Prime Minister KP Sharma Oli has said the government is in the process of building a ‘safe’ nation. 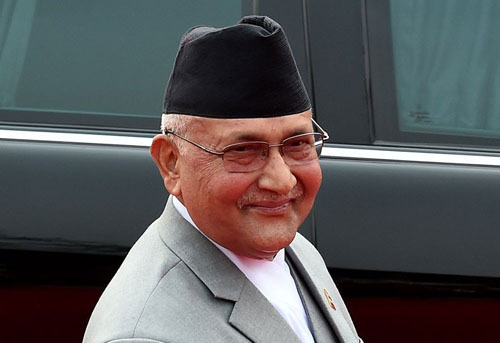 Referring to the devastating earthquake of April, 2015, PM Oli said the government has arranged for reconstructing safe settlements for the quake survivors that are residing in public lands. “The government has brought into effect the Integrated Working Procedure for Subsidised Credit 2018, through which those quake survivors unable to start reconstruction of their houses for want of adequate funds can seek for concessional loans up to Rs 300,000. In a bid to make reconstruction sustainable, local level has been handed resources and the responsibility to reconstruct archaeological structures damaged by the quake, and ancient originality have been taken into account in the process, read the message. Arrangements have been made to provide additional Rs 50,000 grant to rebuild six settlements in the Kathmandu Valley and outside in their original style.